John Andrew Hostetler: leading scholar of Amish and Hutterite societies; born 29 October 1918 in Big Valley, Mifflin County, Pennsylvania, USA, the fifth of seven children of Joseph H. Hostetler (11 April 1880, Belleville, Pennsylvania – 23 April 1966, Laurel, Delaware, USA) and Nancy D. (Hostetler) Hostetler (18 April 1882, Allensville, Pennsylvania – 30 July 1972, Greenwood, Delaware). John married Hazel Esther Schrock (15 January 1920, Protection, Kansas – 20 February 1951, Lewistown, Pennsylvania) on 4 June 1949 at the Maple Grove Mennonite Church, Topeka, Indiana. Hazel was the daughter of Noah J. Schrock (1890-1971) and Jennie (Hooley) Schrock (1896-1956). Hazel died due to complications giving birth to daughter Susan, who died at birth. His second wife was Beulah Stauffer (8 July 1926, Tofield, Alberta, Canada – 30 April 2005, Goshen, Indiana), daughter of Ezra Stauffer and Irene (Lehman) Stauffer, whom John married in 1953. John and Beulah had three daughters: Ann, Mary, and Laura. John died on 28 August 2001 at the age of 82 in Goshen, Indiana and was buried in the Violett Cemetery, Goshen. John grew up a mile south of Belleville at the "Coldwater Station" until the age of eleven, when John and his parents moved to Kalona, Iowa in 1930. John’s father had been excommunicated from the Amish Church in 1929. As a youth he supervised his father's turkey operation, took courses on poultry raising, and received a poultry judging license from the American Poultry Association. He discovered however that he enjoyed reading more than raising turkeys and feeding hogs. At the age of 16, his essay "Some Effects of Alcohol and Tobacco," was published by the Mennonite youth paper, The Words of Cheer. Never baptized in the Amish church, in 1935 Hostetler was baptized and joined the Mennonite Church. John attended Hesston College in 1941 but was soon drafted and served with Civilian Public Service in several locations from 1942 until 1946. He graduated from Goshen College in 1949 with a degree in sociology. While at Goshen he assisted dean Harold S. Bender by writing articles on the Amish and similar groups for the four volume Mennonite Encyclopedia which Bender was editing. Thus began a productive and prolific academic career. After marrying Hazel Schrock in June 1949, the Hostetlers moved to State College, Pennsylvania where John began graduate studies in rural sociology at the Pennsylvania State University. In 1951, his wife and a daughter died in childbirth, the same year that Hostetler's Annotated Bibliography on the Amish won the University of Chicago's annual Folklore Prize. In 1953 Hostetler married Beulah Stauffer Hostetler, a book editor at Herald Press. Their marriage marked the beginning of a 48-year collaboration on many projects. Dismayed by inaccurate popular essays on the Amish, Hostetler published Amish Life (Herald Press, 1952) and The Amish (Herald Press, 1995). 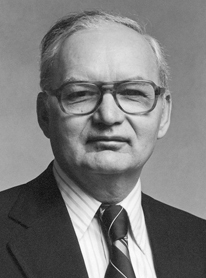 He received his Ph.D. from the Pennsylvania State University in 1953 for a dissertation on The Sociology of Mennonite Evangelism which was subsequently published by Herald Press. During a five year stint at the Mennonite Publishing House, he served as book editor and also wrote a history of the press, God Uses Ink (1958). Beginning in 1959 he held faculty teaching appointments at the University of Alberta, Penn State (Ogontz Campus) and Temple University where he retired in 1985. He lectured widely at colleges and universities and held several visiting professorships including five years (1986-1990) as a Distinguished Scholar-in-Residence at the Young Center for the Study of Anabaptist and Pietist Groups at Elizabethtown College, Pennsylvania, where his wife also held a teaching appointment. Hostetler's scholarship and publications included at least twenty articles in church periodicals, nearly that number in The Mennonite Quarterly Review and The Mennonite Historical Bulletin as well as some twenty additional articles in other scholarly journals including the Journal of the Royal Anthropological Institute and the American Journal of Medical Genetics. He contributed at least 15 chapters to edited books as well as several essays to encyclopedias. Hostetler produced eight full length books and six booklets for popular audiences including the best selling Amish Life. His most important and influential book was Amish Society (Johns Hopkins). First published in 1963, with a fourth edition in 1993, it became one of the best selling volumes in the history of the Johns Hopkins University Press. Hutterite Society (Johns Hopkins, 1974) provided an authoritative account of Hutterite life and society. Other major books included Children in Amish Society (Holt, Rinehart & Winston, 1971) coauthored with his long-time colleague Gertrude Enders Huntington, and Amish Roots (Johns Hopkins, 1989). At the Amish Tricentennial Conference at Elizabethtown College in 1993, Hostetler was recognized by friends and colleagues and presented with a festschrift, The Amish and the State (Johns Hopkins, 1993) which honored his scholarly contributions. In addition to his formal publications Hostetler wrote many research reports, directed six funded research projects, and served as an expert witness in at least five court cases involving minority groups, the most prominent one being Wisconsin vs. Yoder which was heard by the U.S. Supreme Court in 1972. He was an active participant in the National Committee for Amish Religious Freedom. Hostetler served as an advisor to two major films: The Amish: A People of Preservation (1976) and The Hutterites: To Care and Not to Care (1983). Among numerous awards, John A. Hostetler was a Fulbright Scholar, received an honorary doctorate from Elizabethtown College, and was recognized by the Society for German-American Studies and the National Historic Communal Societies Association. Through his publications and contacts with the public media Hostetler served as the leading national interpreter of Amish and Hutterite communities throughout the last half of the twentieth century. As a champion of religious liberty, he was instrumental in preserving and protecting the fundamental religious rights enjoyed by all religious minorities. Always working in quiet and sensitive ways, he built bridges of understanding and respect between Old Order communities and the larger world. Indeed one of his most enduring accomplishments was his ability to nurture and maintain the trust of leaders and members of Old Order communities. As a student of culture and human society he helped many to better understand the world views, values, and social organization of Old Order communities. "Hostetler, John Andrew." Find A Grave. 13 April 2007. Web. 25 February 2015. http://www.findagrave.com/cgi-bin/fg.cgi?page=gr&GRid=18914717. Kraybill, Donald. "In Memoriam: John A. Hostetler, 1918-2001." Mennonite Quarterly Review LXXV, no. 4 (October 2001). Weaver-Zercher, David L. "The Publications of John A. Hostetler: A Bibliography." Mennonite Quarterly Review LXXIX, no. 3 (July 2005): 329-357. Penn State University Libraries. John A. Hostetler papers, 1539-2001. PSUA 455. http://www.libraries.psu.edu/findingaids/455.htm. The majority of this article is taken from an article written by Donald B. Kraybill in 2001 and published in the Mennonite Quarterly Review. Used with permission. Kraybill, Donald B. "Hostetler, John A. (1918-2001)." Global Anabaptist Mennonite Encyclopedia Online. October 2001. Web. 23 Apr 2019. http://gameo.org/index.php?title=Hostetler,_John_A._(1918-2001)&oldid=138868. Kraybill, Donald B. (October 2001). Hostetler, John A. (1918-2001). Global Anabaptist Mennonite Encyclopedia Online. Retrieved 23 April 2019, from http://gameo.org/index.php?title=Hostetler,_John_A._(1918-2001)&oldid=138868.